Georgia down payment assistance programs are offered to homeowners that want to buy a home. These down payment programs that are offered in Georgia helps first time home buyers to achieve their mortgage expenses without straining so much. You can apply for these programs to aid in the down payment for your home purchase. There are different Georgia down payment assistance programs. Both the state and private programs provide help to prospective home buyers with down payment standards. They focus so much in assisting those individuals with financial challenges since the high incomers rarely seek for help. They have set up for minimum and maximum level of loans. This gives you a chance to choose the category that suits your financial status. You can get the assistance programs in various sources that offer these programs. The sources include; housing agencies, federal banks, tax credit or even at mortgage home loans. You can easily access these sources and apply for the down payment assistance programs that will help you purchase a home. Consumer Home Ownership and Independence Choice for Everyone (CHOICE) Program This Georgia down payment program is for first time home buyers with disabilities, or a Georgian taking care of a disabled family member. 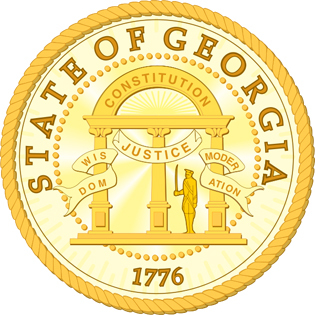 To qualify, a Georgia borrower needs to provide documentation from an acceptable medical source verifying their disability. Similarly to the PEN program, CHOICE offers up to $7,500 for Georgia down payment assistance. The Protectors, Educators and Nurses (PEN) Program This Georgia down payment program is for military, police, fire (including EMS workers and volunteers), education, or a health care worker in a state licensed facility. The PEN program offers $7,500 in Georgia down payment assistance. Georgia borrowers must also meet the requirements of the Georgia Dream Program. Georgia housing agencies are your best resource for down payment assistance programs. Through funding from HUD, the purpose of these agencies is to ensure that affordable housing is available for everyone. This entry was posted in Georgia and tagged down payment assistance, georgia, grants, housing authority, programs. Bookmark the permalink.